Karaikudi is an ideal stopover between Tiruchirapalli and Madurai. This quaint hamlet provides you that ideal stress free vacation. Explore the Chettinad region at its best from Karaikudi. Tiruchirapalli lies at a distance of two hours from here. It has been declared as a Heritage town by the Government of Tamil Nadu. The place is famous for palatial houses which are built with limestone. This largest city in the district receives a large number of travelers from around the world. 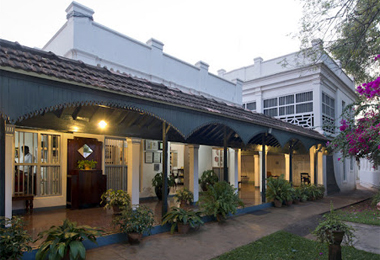 In the recent years a lot of heritage hotels have come into existence to add the comfort of travelling. Visitors enjoy staying in these luxurious palaces which are well appointed with all modern day amenities. The lodging in the heritage hotels in Karaikudi is provided in terms of spacious rooms that tastefully designed and furnished. The large windows of the room provide for great views of the surroundings while relaxing inside. Next time you plan to go for a relaxing vacation, visit Karaikudi and book a stay in one of the heritage hotels of Karaikudi through the HeritageHotelsofIndia online portal to avail great discounts.